Call me crazy, but I love me some pumpkin. I could eat pumpkin flavored anything and be happy. Especially this time of year. 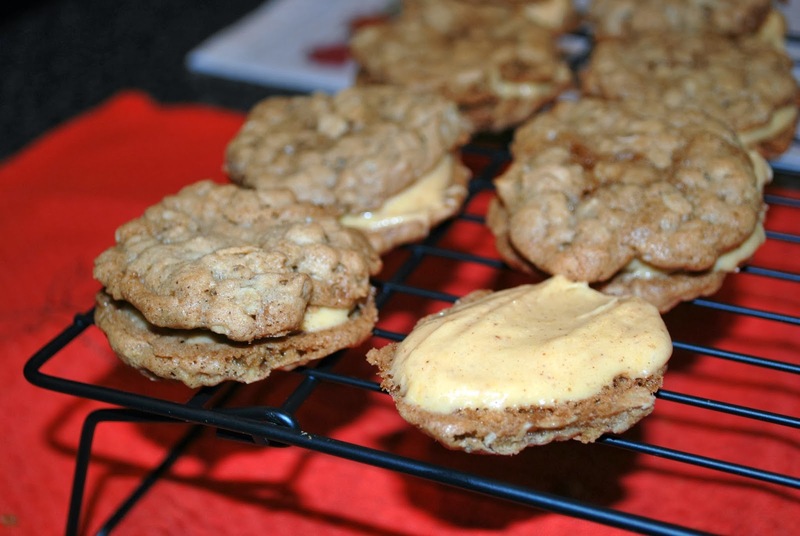 When I saw this Oatmeal Pumpkin Crème Cookie recipe on Pinterest, I knew I had to make them. 1. In a large bowl with a stand mixer or hand mixer, cream the butter and sugars until smooth. Add the egg and vanilla and mix well. Slowly stir in the baking soda, pumpkin pie spice, oats, and flour. Mix together until combined. 2. Chill the dough for at least an hour in the fridge. 3. While the dough is chilling, prepare the pumpkin crème. Using a stand mixer or hand mixer, mix the cream cheese, butter, pumpkin, and pumpkin spice on medium speed until creamy. Add the powdered sugar and stir to combine. If the mix is too thin, add flour to thicken. Let chill in the fridge until cookies are baked and cooled. 3. Preheat the oven to 325 degrees. 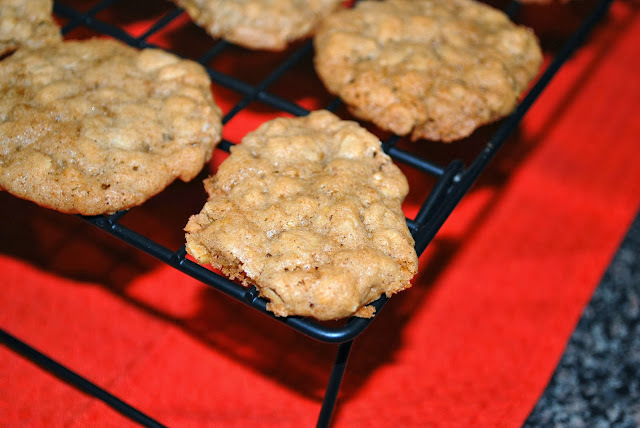 I cooked mine on my baking stone, but you could also use a cookie sheet with parchment paper. Bake for 9-10 minutes. Let stand on stone or cookie sheet for 2 minutes before transferring to wire rack to cool. 4. 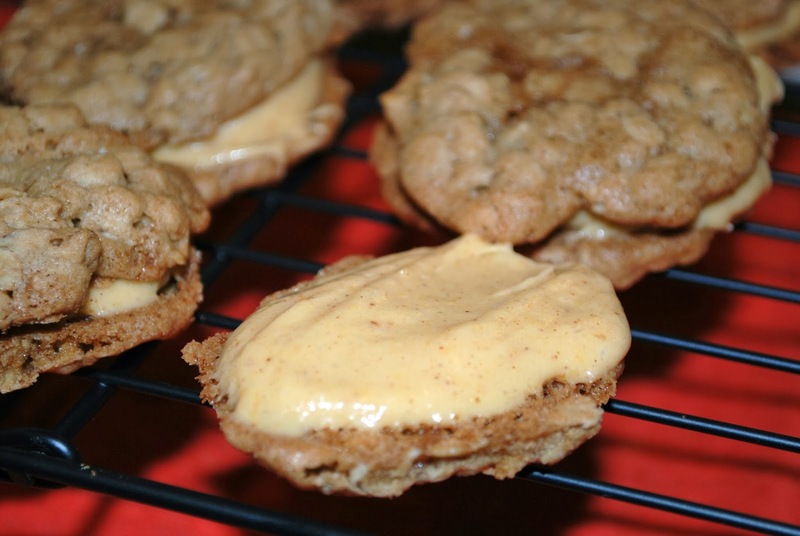 Spread a generous amount of pumpkin crème on the underside of the cooled cookie and place another cookie on top to make a sandwich. Makes 30 sandwiches. 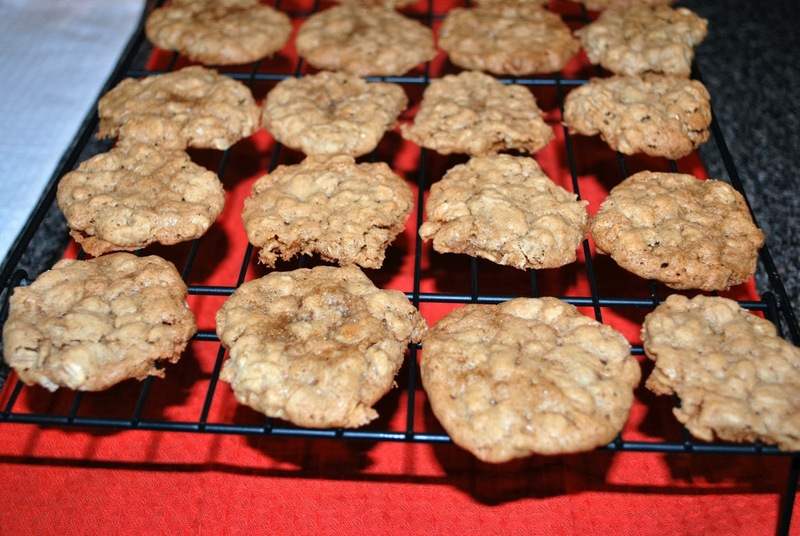 These cookies were much better after they sat overnight in the refrigerator. I was very disappointed when I tasted them the night I baked them, but it was a completely different story the next day! They were terrific! If you follow Weight Watchers, one of these sandwiches is 4 Points Plus. 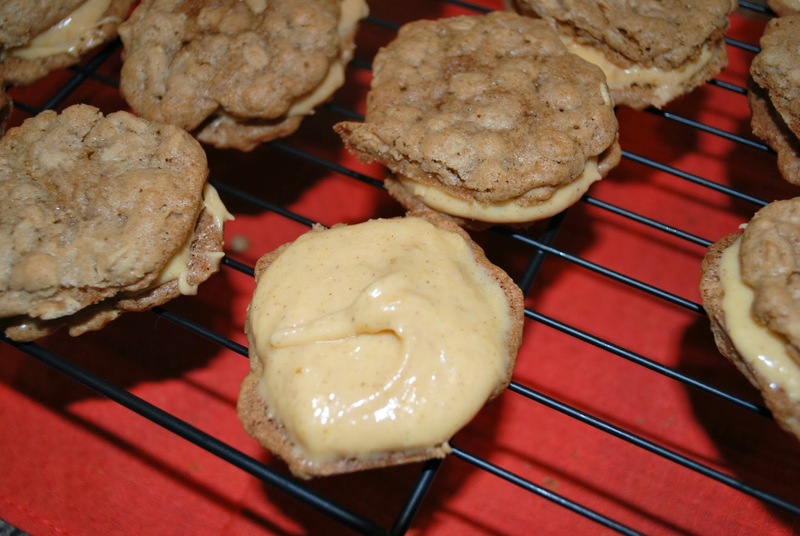 Note: I changed the recipe to fit my tastes, but you can find the original recipe here. These look SO DELICIOUS!! YUUUM! Oh, yum! These look incredible. Wow adding these to my must-bake list!